Tip: What you say on Twitter may be viewed all around the world instantly. 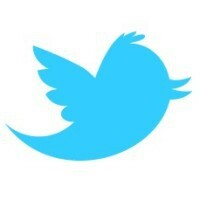 Location Information: You may choose to publish your location in your Tweets and in your Twitter profile. You may also tell us your location when you set your trend location on Twitter.com or enable your computer or mobile device to send us location information. You can set your Tweet location preferences in your account settings and learn more about this feature here. Learn how to set your mobile location preferenceshere. We may use and store information about your location to provide features of our Services, such as Tweeting with your location, and to improve and customize the Services, for example, with more relevant content like local trends, stories, ads, and suggestions for people to follow. Our Services are not directed to persons under 13. If you become aware that your child has provided us with personal information without your consent, please contact us at [email protected]. We do not knowingly collect personal information from children under 13. If we become aware that a child under 13 has provided us with personal information, we take steps to remove such information and terminate the child's account. You can find additional resources for parents and teens here.